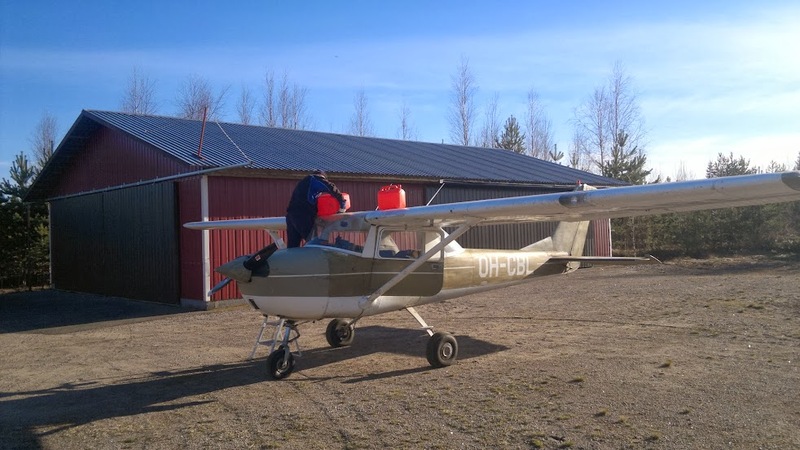 One autumn day a light aircraft have some serious engine troubles on the way from Tampere to Halli. Bravo-Lima lose altitude and the crew managed to send a mayday message: "Our location is about 20 km from GC2WPRE to the direction of 05"
Soon after the plane crashed into the swamp and the crew were injured. One of the men survived into a house in the backwoods, which was helpful. Check your coordinates of the house, then you will be instructed to cache.